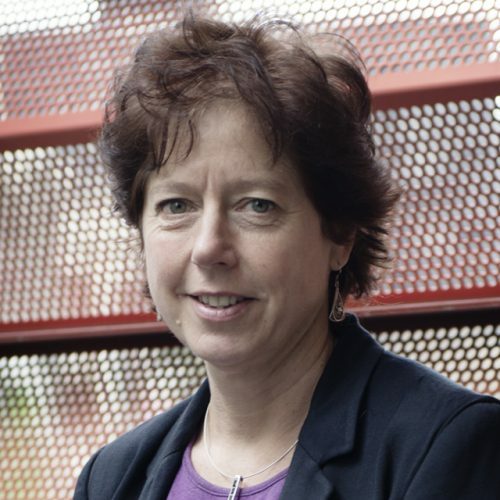 Professor Robin Goodman is Dean of the RMIT School of Global, Urban and Social Studies. Robin’s research interests centre on various aspects of urban planning and public policy. Her current research projects focus on: the nexus between urban research and policy making; the state of the art of planning in Australia and New Zealand; climate change and planning decisions; conflict and local government planners. Other recent projects and publications have focussed on: the forms of private collective ownership of community assets in master planned estates; the planning for activity and retail centres in growth areas on the urban fringe; a comparison of retail form in the various Australian capital cities. An evaluation of the health benefits of a social housing project. Sustainable strategic planning, including planning for activity centres, planning practice and implementation, planning and housing and Melbourne’s planning history. The project will produce evidence and tools to assist both the public and private sectors provide transport options to residents of Melbourne’s new suburbs as soon as they move in. This paper proposes a policy-relevant definition of housing market efficiency and a set of indicators for measuring the responsiveness of housing supply. This project investigates how major cities function and the effects of their land-use, housing and infrastructure systems on the humans that live in them. How can we make living on the edge better? New research by RMIT urban academics calls for greater collaboration between urban planners and social workers to deal with new and emerging forms of poverty and spatial disadvantages affecting Australians. Treasurer Scott Morrison has outlined his vision for increasing home ownership at a speech to the Urban Development Institute of Australia. RMIT Centre for Urban Research together with Rail Futures launch a new landmark report calling for major investment in Victoria's regional rail system to meet the state’s future challenges. A new book by RMIT urban planning experts delves into our city’s past to present a citizen’s handbook that unlocks the potential for shaping Melbourne's future. Japan’s experience makes it an interesting example to learn from in the area of aged care. A visiting delegation has told of the great urban challenges Ethiopia faces due to rapid population growth, during a presentation at RMIT. Buxton, M and Goodman, R 2014, 'The impact of planning 'reform' on the Victorian land use planning system', Australian Planner, vol. 51, no. 2, pp. 132-140.